There have four ways to restore deleted contacts iPhone.You can get back you deleted contacts from iTunes or iCloud directly or via iPhone Data Recovery. You can recover from iPhone directly even if you no have backup. "What to do? Yesterday my little guy play my iPhone. After, I found that the contacts in my smart phone were gone. It should be accidentally deleted by the child. I tried to retrieve it in recent deletion, but I didn't see it. How to get deleted numbers back on iPhone? I am in a hurry and ask for a solution" from one Forum. Contacts are an important way for us to socialize, and accidentally deleting contacts can be very anxious for us. In fact, there are many ways to restore deleted contacts iPhone, but there are many ways to be inoperable, or the chances of recovery are small, and the operation method is too complicated. For one iPhone rookie, the complicated operation method will make us crash.We are going to provide you with one ways to restore deleted contacts iPhone for free, and three ways to restore contacts iPhone by Eelphone iPhone Data Recovery. Way 1: Restore contacts iPhone from iTunes Backup via iTunes. Way 2: How to get your contacts back on iPhone without backup. Way 3: How to restore deleted contacts on iPhone iTunes Backup File. 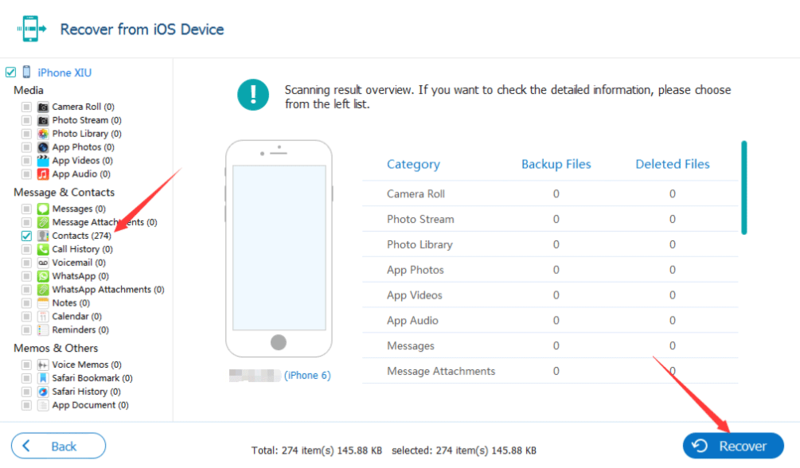 Way 4: How to restore contacts on iPhone from iCloud Backup File. Step 1: Connect your iPhone with PC via USB cable, and work iTunes on your computer. Step 2: Click on the device icon after the iTunes scanning out your iPhone. Step 3: Click the “ Summary ” tab on the left column then click “ Restore Backup… ”. Step 4: If there are more than one backup choice, choose the one you want ti restore, the contacts probably the latest one and then click “ Restore ”. Step 5: Once the restoring process is complete, you will get your contacts back on your iPhone. 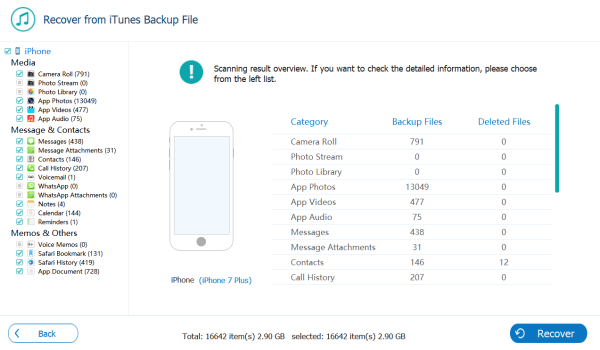 Note: An iPhone backup is a file that contains the entire contents of your iPhone. This makes it possible to recover any lost data. But Apple does not offer an approach to recover just one piece of data. For safety, you'd better back up the current data on iPhone first. 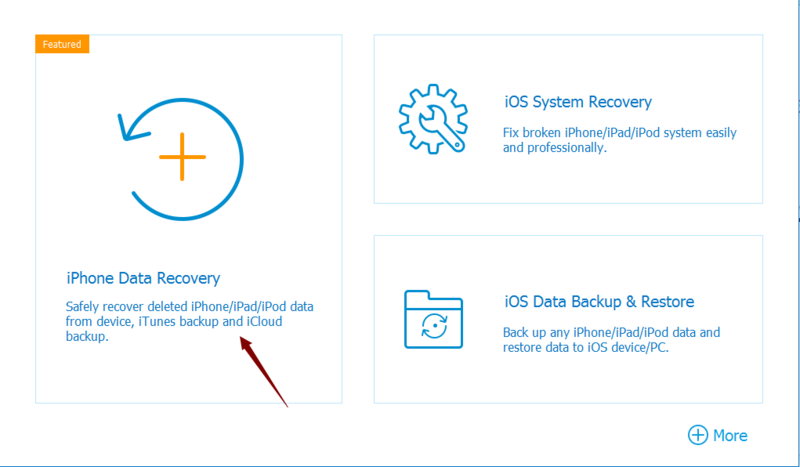 When the data you need to restore have not backup, you can use Eelphone to help you recover data directly from your iPhone. 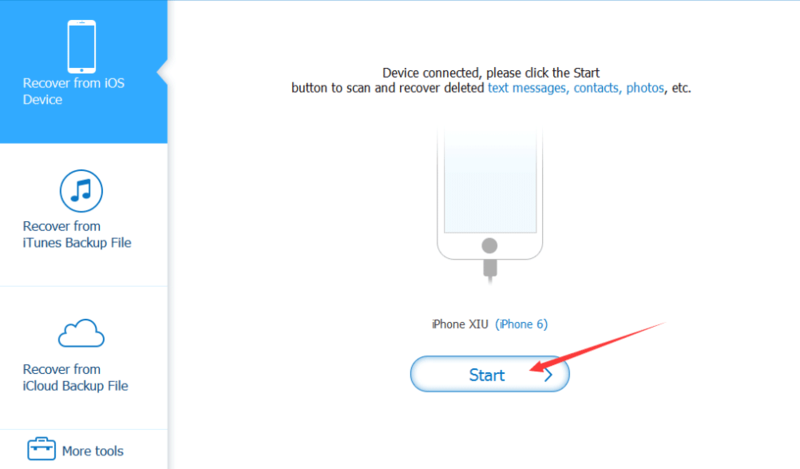 With just a few clicks, you can successfully restore deleted contacts iPhone. Step 2: Choose “ Recover From iOS Device ” on the left.Connect to PC via USB cable. Step 3: Click “ Start ” to scan your device, keep connecting during the scanning. 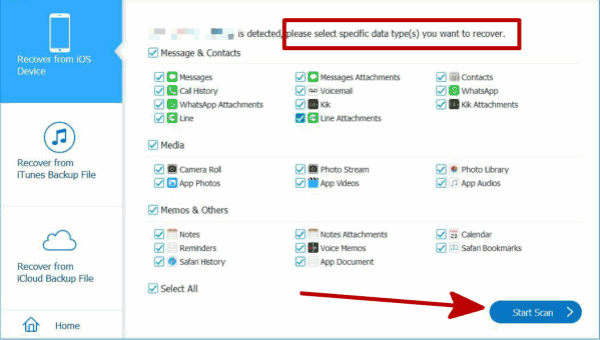 Step 4: Select the type of data you want to recover, now you should choose “ Contacts ”, and click “ Scan ”. Step 5: Recheck the result of scanning, select “ Contacts ” on the left and click “ Recover ”. OK, now that your contacts have been restored, you can view your contacts. When you have the habit of backup, the data you lost has been backup before, you can use this way to recover the contacts, maybe you will ask me why not restore contacts directly from iTunes? 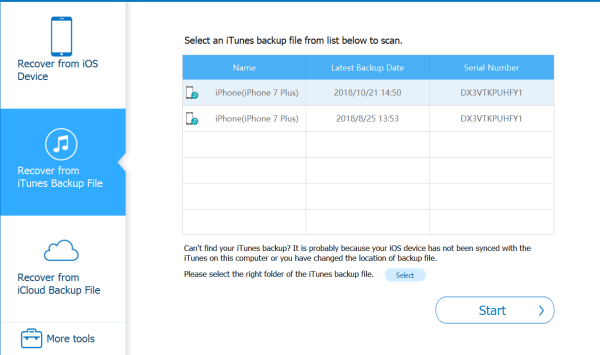 Using Eelphone iPhone Data Recovery we can selectively restore the data we want, but iTunes can only recover all, and iTunes will automatically overwrite the data you have not backup, that is, you will lose the data you did not backup. Step 1: No need of Connect between iPhone and PC, but you still should download Eelphone iPhone Data Recovery, run it, and click “ iPhone Data Recovery ”. Step 2: There will automatically render the iTunes backup list according to your backup time, select an iTunes backup file and click “ Start ”. Step 3: Please choose “ Contacts ” from the left when scan result overview. And click “ Recover ”. Now you have got your contacts back. Similarly, the precondition for using this method is that you have the habit of backup. As for why you don't use iCloud directly to restore contacts, as I explained above, let's see how to recover data from iCloud backup files. Step 1: Download and make run it, click “ iPhone Data Recovery ”. 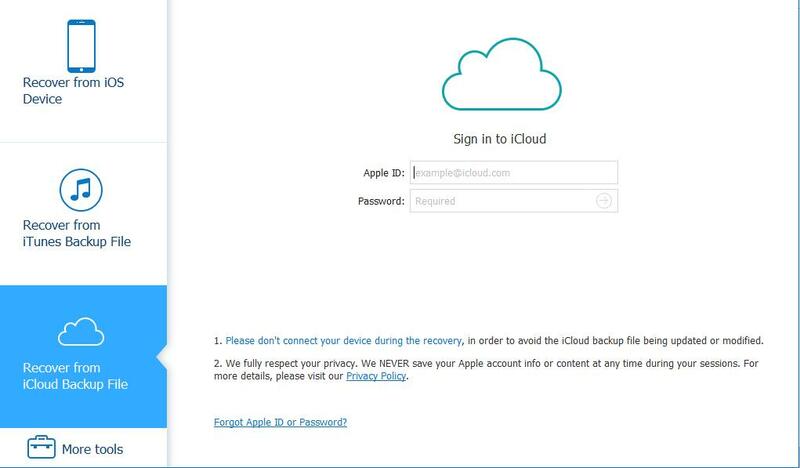 Step 2: Select “Recover Data From iCloud Backup Files” on the left. And sign in to iCloud. 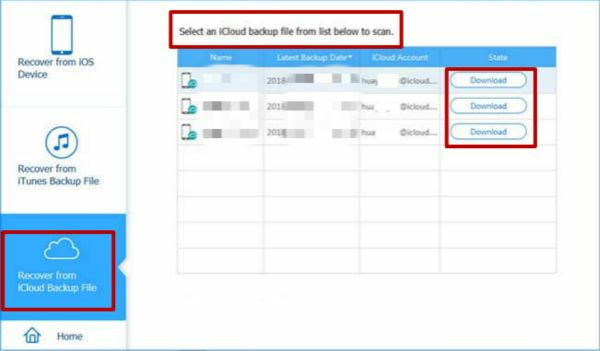 Step 3: Select an iCloud backup file from list, click “ Download ”. Step 4: Check the type of data you want to recover from left, click “ Contacts ”, and then ,click “ Recover ”. I hope you can successfully restore contacts iPhone from the above methods.